113 documents originally seized from bin Laden’s Pakistani hideout are now available to the public on the Office of the Director of National Intelligence’s website after being declassified and translated. These newly released documents reveal Osama’s handwritten will for his $29m fortune and personal correspondences, including his concerns over the environment. 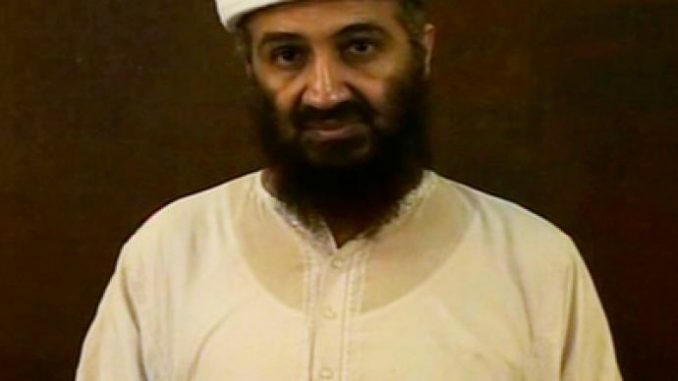 Osama bin Laden gave a detailed analysis in the wake of the 2008 financial crisis. While hoping America would capitulate to financial difficulties, he criticized al Qaeda members who, in his opinion, were putting too much emphasis on the weakening U.S. dollar before launching into a detailed macroeconomic explanation of how a country’s debilitating currency may even benefit its export economy, and also warning his followers to never underestimate the long-term fiscal health of the United States of America. Would Osama bin Laden ‘Feel the Bern’? The cache of documents also shows that bin Laden wasn’t above addressing thoughts to the “American people,” as in one letter in which he comes off sounding almost like Democratic presidential candidate Bernie Sanders, denouncing the influence of lobbyists and what he considered to be the false hope of the Obama presidency. Bin Laden had anti-Semitic conspiratorial notions about “Jewish” financial interests, however, rather than the Wall Street bankers that Bernie Sanders, himself a Jew, has made a focal point of his presidential campaign. Though Edward Snowden recently made claims that Osama bin Laden is still living, a letter bin Laden wrote in 2008 to his father asking for forgiveness, reveals that he feared for his life. Officially, Osama bin Laden was killed in May 2011 at his hideout in Abbottabad by U.S. Navy Seals. And currently, the number of bin Laden documents that remain classified is unknown. The Office of the Director of National Intelligence plans to continue releasing more of the material, however, this process will be lengthy, so don’t hold your breath because we’ll be waiting a while.